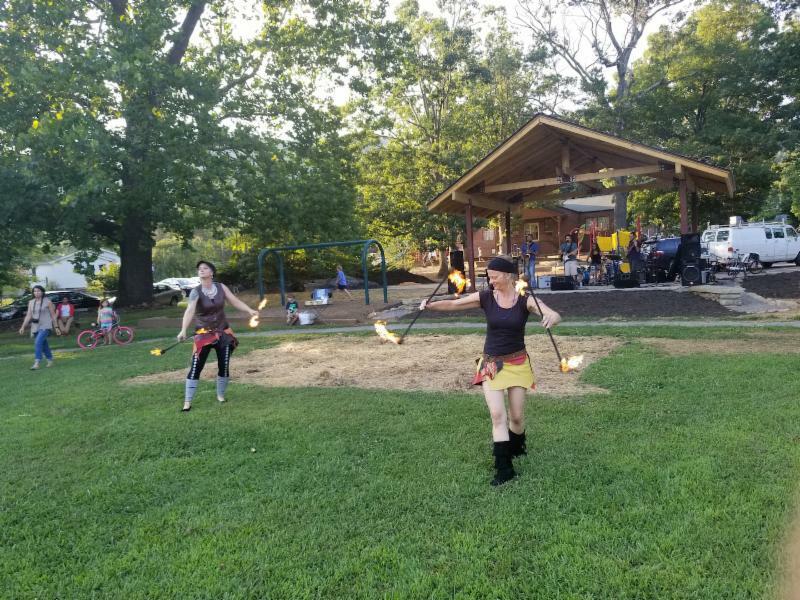 Firedancers (above) entertain the crowd at this year’s first Groovin’ on Grovemont outdoor concert, held on July 10 in Grovemont Square, adjacent to the Swannanoa Library. The newly-constructed Grovemont Park Performance Pavilion is in the background. 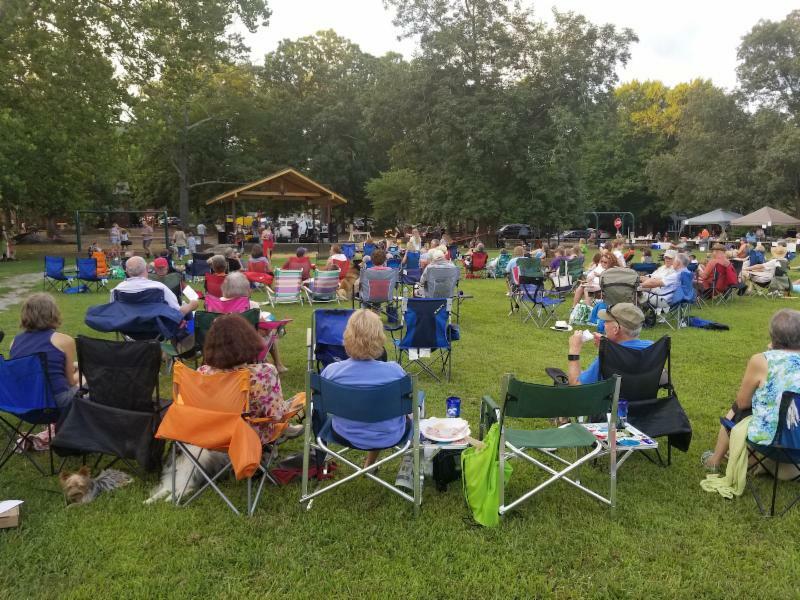 This year’s Groovin’ on Grovemont drew some of the largest crowds in the event’s 16-year history. 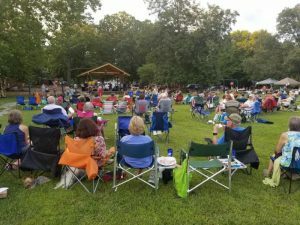 The final concert took place on August 7.